This unique native plant has a tall, thin stalk from 10 to 14 feet high that grows from a thick basal rosette of gray-green leaves. The leaves are 10 to 18 inches long with long, sharp, terminal spines and shorter spines along the edges. The stalk can be up to 4 inches in diameter. 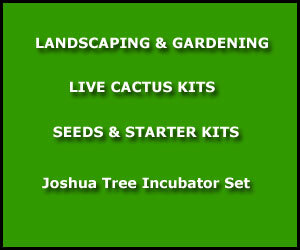 Members of the Amaryllis Family, century plants take many years to flower, although not a century. 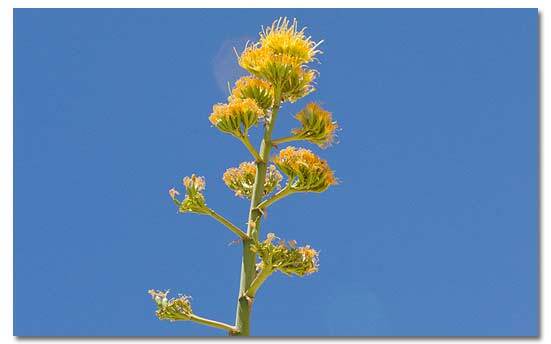 The Century Plant provided Native Americans with a source of soap, food, fiber, medicine and weapons. Agavi americana, can grow up to 40 feet high with much longer leaves and larger stalk. 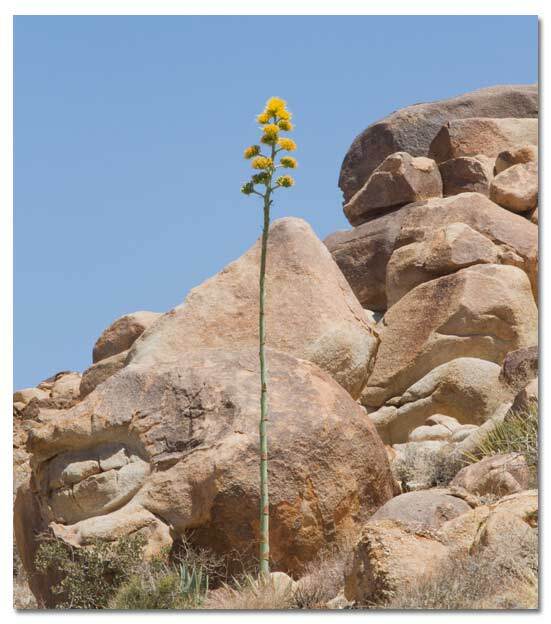 This American Century Plant is sometimes grown in southern California as an ornamental. It is used commercially in Mexico as a source to produce the liquors tequila, pulque and mescal. Sonoran and Chihuahuan deserts at higher elevations from southeastern California, to western Texas and south to northern Mexico. Photo tips: Mst digital point-and-shoot cameras have a macro function - usually symbolized by the icon of a little flower. When you turn on that function, you allow your camera to get closer to the subject, looking into a flower for example. Or getting up close and personal with a bug. More on desert photography.